As a girl, Alia Joy came face to face with weakness, poverty, and loss in ways that made her doubt God was good. There were times when it felt as if God had abandoned her. What she didn't realize then was that God was always there, calling her to abandon herself. In this deeply personal exploration of what it means to be "poor in spirit," Joy challenges our cultural proclivity to "pull ourselves up by our own bootstraps." 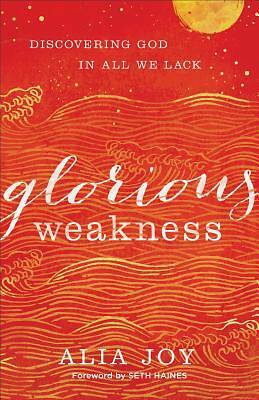 She calls on readers to embrace true vulnerability and authenticity with God and with one another, showing how weakness does not disqualify us from inclusion in the kingdom of God--instead, it is our very invitation to enter in.